So, Christmas is about to arrive in slightly more than a month’s time. Have you made all of the necessary preparations so that you know you will not end up in a mess when December 25th comes? 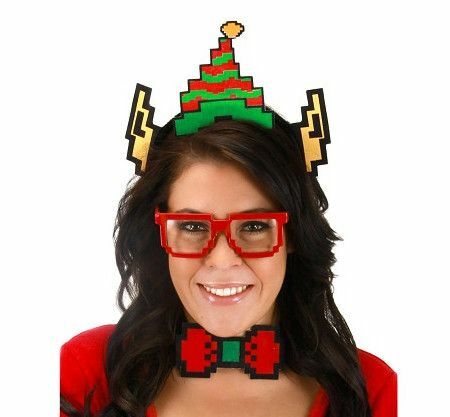 The $16.99 Pixel Elf Costume Kit will definitely be a purchase to remember for many more Christmases to come, especially if you are one who happens to spend plenty of time at fancy costume parties during the Yuletide period. With the Pixel Elf Costume Kit, you are more or less guaranteed to end up as a two-dimensional Elf which would not look out of place from Santa’s workshop. Each kit purchase will arrive with felt ears and hat, felt bow tie and red glasses.